2015-10-26 19:35:21 13762 [Note] InnoDB: Highest supported file format is Barracuda. 2015-10-26 19:35:21 13762 [Note] InnoDB: 128 rollback segment(s) are active. 2015-10-26 19:35:21 13762 [Note] RSA private key file not found: /var/lib/mysql//private_key.pem. Some authentication plugins will not work. 2015-10-26 19:35:21 13762 [Note] RSA public key file not found: /var/lib/mysql//public_key.pem. Some authentication plugins will not work. 2015-10-26 19:35:21 13762 [Note] IPv6 is available. 2015-10-26 19:35:21 13762 [Note] Server socket created on IP: '::'. 2015-10-26 19:35:21 13762 [Warning] 'proxies_priv' entry '@ root@ip-172-30-4-23' ignored in --skip-name-resolve mode. 2015-10-26 19:35:21 13762 [Note] /usr/sbin/mysqld: ready for connections. 2015-10-26 19:35:15 12955 [Note] InnoDB: FTS optimize thread exiting. 2015-10-27 11:20:05 18858 [Note] Plugin 'FEDERATED' is disabled. 2015-10-27 11:20:05 18858 [Note] InnoDB: Highest supported file format is Barracuda. 2015-10-27 11:20:05 18858 [Note] InnoDB: 128 rollback segment(s) are active. 2015-10-27 11:24:41 31325 [Note] Plugin 'FEDERATED' is disabled. 2015-10-27 11:24:41 31325 [ERROR] Plugin 'InnoDB' init function returned error. 2015-10-27 11:24:41 31325 [ERROR] Plugin 'InnoDB' registration as a STORAGE ENGINE failed. 2015-10-27 11:32:46 13601 [Note] Plugin 'FEDERATED' is disabled. 2015-10-27 11:32:46 13601 [ERROR] InnoDB: The system tablespace must be writable! 2015-10-27 11:32:46 13601 [ERROR] Plugin 'InnoDB' init function returned error. 2015-10-27 11:32:46 13601 [ERROR] Plugin 'InnoDB' registration as a STORAGE ENGINE failed. The above is another permission issue, this time the problem is related to ibdata1 file - shared system tablespace which is used for InnoDB to store its internal data (InnoDB dictionary and, by default, undo logs). Even if you use innodb_file_per_table, which is a default setting in MySQL 5.6, InnoDB still requires this file so it can intialize. 2015-10-27 11:35:21 17826 [Note] Plugin 'FEDERATED' is disabled. 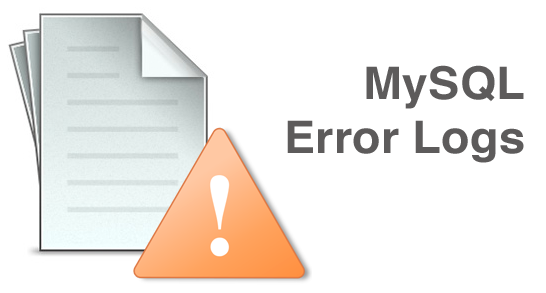 2015-10-27 11:35:21 17826 [ERROR] Can't open the mysql.plugin table. Please run mysql_upgrade to create it. 2015-10-27 11:35:21 17826 [Note] InnoDB: Highest supported file format is Barracuda. 2015-10-27 11:35:21 7fa02e97d780  InnoDB: Operating system error number 13 in a file operation. 2015-10-27 11:35:21 17826 [ERROR] InnoDB: Could not find a valid tablespace file for 'mysql/innodb_index_stats'. See http://dev.mysql.com/doc/refman/5.6/en/innodb-troubleshooting-datadict.html for how to resolve the issue. 2015-10-27 11:35:21 17826 [ERROR] InnoDB: Tablespace open failed for '"mysql". "innodb_index_stats"', ignored. 2015-10-27 11:35:21 17826 [ERROR] InnoDB: Could not find a valid tablespace file for 'mysql/innodb_table_stats'. See http://dev.mysql.com/doc/refman/5.6/en/innodb-troubleshooting-datadict.html for how to resolve the issue. 2015-10-27 11:35:21 17826 [ERROR] InnoDB: Tablespace open failed for '"mysql". "innodb_table_stats"', ignored.